How Should We Design Government Policies to Stimulate Innovation? Last Friday was our 20th Annual POWER Conference. Thanks to all who attended and an especially large thanks to the conference sponsors who made the event possible. For those of you who couldn’t attend, the program is available here with links to several of the research papers that were presented. One of the highlights was a new paper called, “Financing Constraints as Barriers to Innovation: Evidence from R&D Grants to Energy Startups”, by Sabrina Howell, a PhD Candidate at Harvard who does fascinating work on energy and innovation finance. The paper focuses on the U.S. Department of Energy’s Small Business Innovation Research grant program. The SBIR program has been around since 1983, and provides more than $2 billion annually in grants to small, high-tech firms. 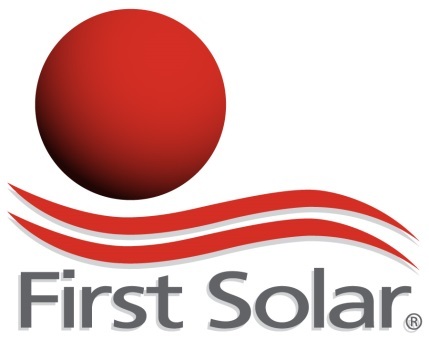 DOE’s program funds technologies across the energy spectrum — previous recipients include Sunpower, First Solar, Evergreen Solar, Oscilla Power, and A123. The results in the paper are striking. Howell finds that receiving an early-stage “Phase 1” grant of just $150,000 approximately doubles the probability that a firm will subsequently receive venture capital (VC) funding. Recipients of Phase 1 grants produce more patents, are more likely to commercialize their technologies, and are more likely to exit via IPO or acquisition. In order to perform the analysis, Howell obtained internal data on successful and unsuccessful applications from 400+ SBIR competitions over a 20-year period. She exploits the fact that SBIR applications are ranked by DOE reviewers, but that only applications above a certain cutoff receive funding and reviewers don’t know what the cutoff will be until after all the applications have been ranked. These rankings allow her to implement a compelling quasi-experimental research design. This figure from her paper illustrates the main idea. The red vertical line indicates the cutoff for a Phase 1 SBIR grant. Applications to the right of the cutoff were funded, while applications to the left were not. The figure shows for each rank the fraction of firms that subsequently received VC financing. Grants increase this probability from about 10% to 20%, and the difference is strongly statistically significant as indicated by the 95th percentile confidence intervals. This “rankings” based approach is a significant advance because it allows Howell to make causal statements about SBIR grants. 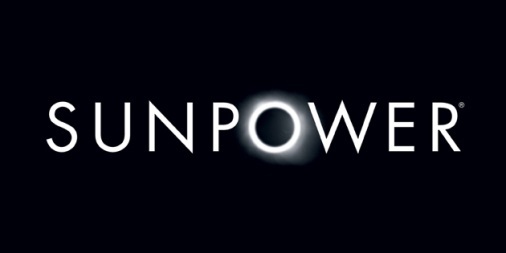 How successful would SunPower, First Solar, and Oscilla Power have been without winning an SBIR grant? This is a very hard question. But what these rankings allow Howell to do is to compare applications that just barely won a grant with those that barely missed the cutoff. Near the cutoff her approach is akin to a randomized experiment, comparing firms that DOE reviewers deemed similar. Firms who receive one of these $150,000 Phase 1 grants can then apply for a second round. Phase 2 grants are $1 million and intended to fund later stage demonstrations. Though Phase 1 grants have large positive effects on subsequent VC financing and other outcomes, Phase 2 grants are much less successful, with tiny or negative effects on VC financing and small positive effects on patents. This may reflect selection. 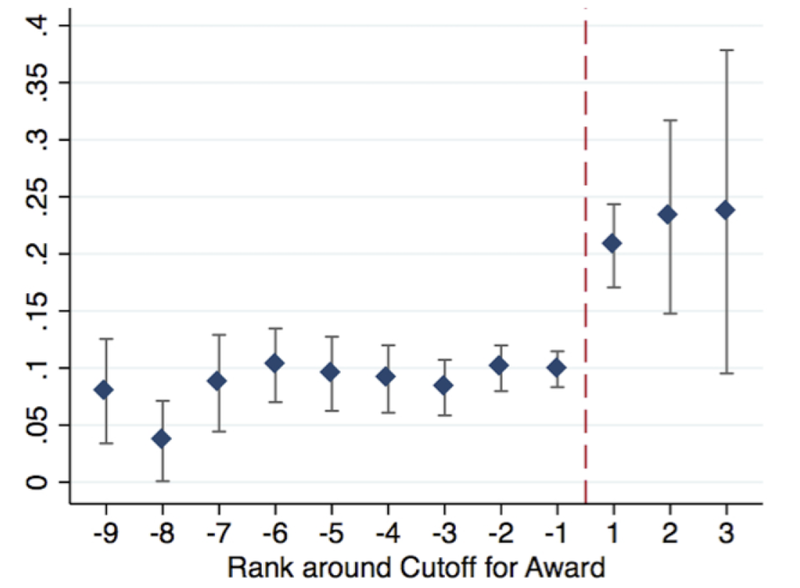 For example, Howell finds that the more successful Phase 1 recipients tend not to apply for Phase 2, so the composition of applicants in Phase 2 tends to be lower quality on average. These results have important policy implications. The DOE spends much more on Phase 2 than Phase 1, but Howell’s results suggest that it probably would be better to allocate more to Phase 1. This is consistent with general economic intuition. For later-stage projects, private sector funding is likely to work better because more information is available and the investments are larger scale. Some critics of government R&D programs argue that programs like SBIR just crowd out private investment. But if this were the case, you would not expect to see any impact of these grants on subsequent VC funding. Or, more starkly, you would expect to see more private financing received by unsuccessful applicants. Howell’s paper doesn’t tell us exactly what the right level of government funding is, but the paper’s results provide clear evidence against this crowd out argument. Howell’s website (here) includes a link to the paper and, if you are really interested, to all eight appendices! We need much more research like this aimed at understanding how to best stimulate innovation. It is hard to think of any more important topic, particularly in the energy sector given the enormous scope for spillovers and positive externalities. Innovation needs to take center stage not only in Washington DC, but also here in California. As Severin pointed out in a blog post here, California produces only 1% of the world’s greenhouse gas emissions. So the success or failure of California’s climate policies hinges on stimulating innovation that can be exported to the rest of the world. We need more emphasis in all of our programs on knowledge creation and we need to rigorously evaluate all of our policies along this dimension. For more see “Financing Innovation: Evidence from R&D Grants” (by Sabrina Howell), American Economic Review, 107(4): 1136-1164. The PIER program included a small grants program – the Energy Innovations Small Grants program – that was very similar to the federal program highlighted in Howell’s paper. I believe there are efforts to incorporate a similar opportunity into EPIC. So question – based on this, what are the implications for programs like EPIC and CSI here in California? Should we get the ratepayer dollar into this space to leverage DOE funding? And what metric of success can be captured at the state level vs. the Federal dollar? I think that I was asking something more specific. We have different investment strategies in CA for energy. The old PIER program is now replaced by a portfolio approach in EPIC. The CSI (and SGIP, to a lesser extent) was focused on a technology/generation asset but not on a particular provider. Neither program really leverages the Federal dollar. So are the California ratepayers getting the best bang for the buck, given the conclusions of this new paper? If you want growth, pay for it. Energy Institute Blog How Should We Design Government Policies to Stimulate Innovation?